It doesn’t take a rocket scientist to break down the good and the bad from Sunday’s 38-34 win over the Jets. Hell, even the ‘other Belushi’ could tell you what’s working and what’s not. And he should know, considering he enjoyed field-level viewing during the game. 1) Offensive Line Part 1: Picture perfect pocket on Cutler’s three 3rd-quarter TD tosses. There’s no glory in being an offensive lineman. The only time their name is called is when they screw up. But let’s give the Bears big uglies some props when they’re due: Omiyale, Williams, Kreutz, Garza and Webb only allowed only 2 sacks against an aggressive defense, and one of those came on a play when Jay Cutler had time to throw, but his receivers were covered. When CBS’s cameras paused the replay of each of Cutler three touchdown passes, it didn’t take a football mastermind to notice the perfectly formed U-shaped fortress that protected Cutler. 2) Offensive Line Part 2: Plenty of running room for Forte. Matt Forte averaged almost 6 yards per carry. More impressively, the Bears were only the 2nd opposing team in Rex Ryan’s 2-year tenure as Jets coach to have a 100-yard rusher. Maurice Jones-Drew was the other for Jax last year. If the NFL had an award for assistant of the year, O-line coach Mike Tice should be the unanimous winner considering the in-season renovation project he’s led with a rag-tag bunch of big uglies. There are no more superlatives left to describe #23. First, his 38-yard punt return set up his own TD catch three plays later. Then a 40-yard kick return set up a Cutler-to-Knox TD. Even when he doesn’t touch the ball, teams are so scared shitless of kicking to him that the Bears usually benefit from field position starting around their 40 yard line. 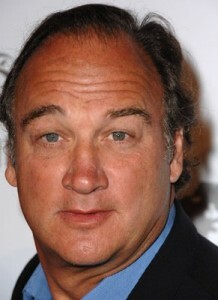 Runner Up: James Belushi’s contagious sideline enthusiasm. When they weren’t replaying Cutler’s TD bombs, CBS cameras were focused on James Belushi and some other dude celebrating the Bears offensive explosion down on the sideline. Not surprisingly, Belushi and his sidekick ‘star’ in a cop show on the network’s primetime lineup. While there were obvious alterior motives on the network’s part, it was cool to see a B-list celeb displaying genuine excitement about his hometown team. Where should we start on defense? Oh yeah, like Lovie always says, it starts up front. I thought going into the game the Jets offensive line was the second best the Bears have seen this year, next to the Patriots. And the way they corralled Julius Peppers and crew, they proved me right. Mark Sanchez, like Tom Brady two weeks before him, benefited from great protection and threw the ball at will against the Bears. The result was 269 passing yards, a 65% completion percentage and 50% conversion on third downs. Throw in 124 rushing yards (4.1 per carry) and you have all the ingredients for an offensive mauling. With their soft coverage in the secondary, the Bears MUST get pressure from the front 4 consistently if they want to make a run in the playoffs. There was one play in particular that exposed the occasional flaw in Lovie’s Cover 2. On their third quarter touchdown that tied the score at 31, Mark Sanchez hit a wide-open Santonio Holmes. Holmes ran free because Bears safety Danieal Manning, who’s responsible for covering the deep half of his side of the field, left his area to cover TE Dustin Keller, who was running wide open on an underneath crossing route. Tim Jennings – the corner assigned to cover Holmes – thought he had deep help from Manning, so he let the receiver run by him. But with Manning running up to help on the TE, Holmes had free sailing into the end zone. In 2 of the last 3 games, the Bears Cover 2 defense has been exposed by patient offenses that were more than happy to take what the Bears coverage offered them. The Patriots scored 30 points (remember 6 of the Pats points came on a fumble return) and the conservative Jets put up a 27 (7 of the 34 points came on their INT return). If this defense doesn’t get sacks and turnovers, teams can and will move the ball against the Bears. And Sanchez just proved that it doesn’t take an All-Pro QB to beat them. This will be the only time Mr. Automatic makes this naughty list. The Bears usually dependable kicker shanked what is an automatic kick for him. He misjudged the wind and his 35-yarder sailed wide right. It was his first miss inside 40 yards in an amazing 64 attempts. Perhaps Jerry Angelo should bring in a castoff kicker to compete with Robbie this week in practice. I was out of town for the holidays and would have missed the game, but I work with DISH and have the TV Everywhere app through them for my iphone? It’s awesome. Now I can catch every play whether I’m on the couch or stuck at the airport! YOu ever used the TV Everywhere app?